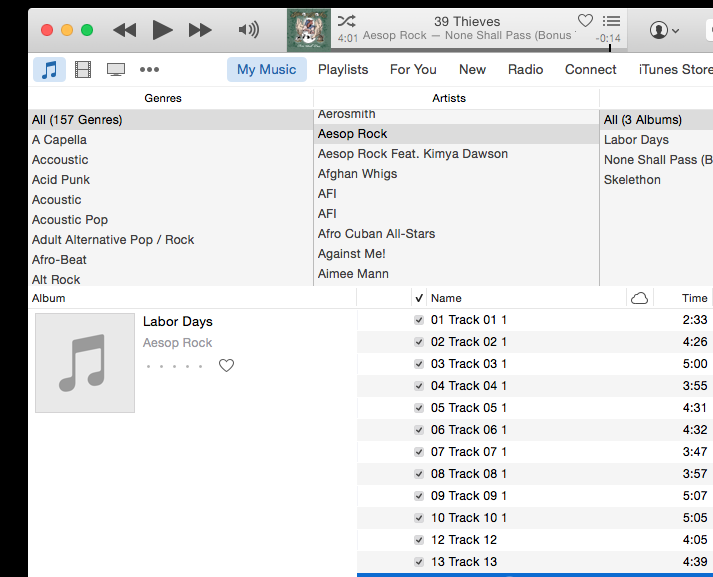 In this tutorial, I’ll show you step-by-step how to recreate the iTunes user interface using HTML and CSS. When we’re done, we’ll have a dynamic web page that looks like the screenshot below that’s ready to be turned into a genuine web application. In addition to all of the text above, there are also lots of images incorporated into the user interface. Start by cutting them out. You can do that by taking screen shots of the design above – on a Mac, use the command (SHIFT + COMMAND + 4); here is how you do it on Windows. Once you have all of the necessary images ready, start thinking about where the different <div>s need to go? What should be inside of what? How is the fundamental page architecture set up? In the link below, I’ve set up a preview using a translucent blue background to illustrate how the different <div>s are nested inside of each other. Don’t forget to check out the source code! Once you’ve got your basic HTML in place, it’s time to start writing your CSS. You can begin by setting some basic styles like the font sizes and background colors for the different elements on the page. This is a great time to give all of your different <div>s classes that you can use to assign them styles from your CSS. You’re almost there! You just need to add some more styles to your CSS. Give your elements heights and widths, padding, margins and borders, and watch it come to life!